Beverly's Official Blog | News and findings from world of crafts, scrapbooking and more: Social Crafting Night at Beverly's! Social Crafting Night at Beverly's! 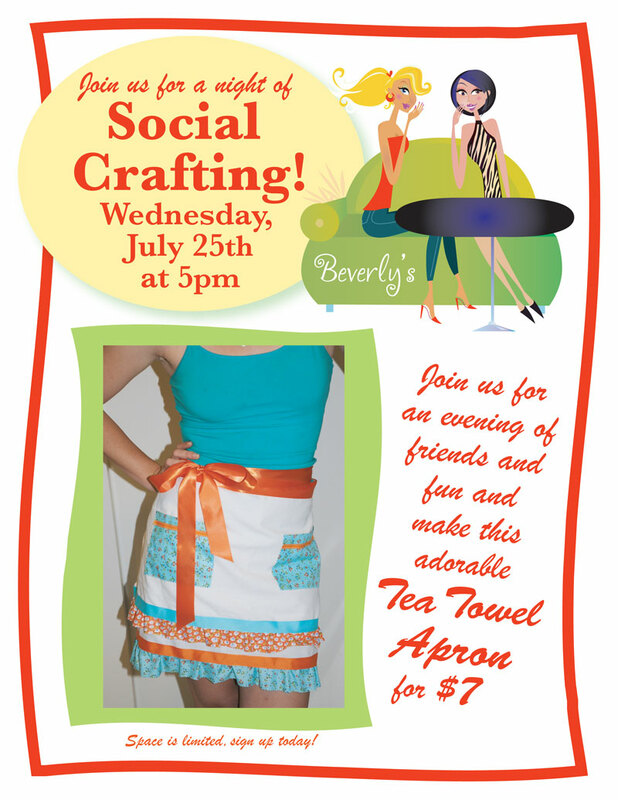 Join us Wednesday, July 25th at 5pm for a fun and social crafting event! Make your own Tea Towel Apron for just $7. We're looking forward to seeing you! Space is limited so sign up today at your local Beverly's store!